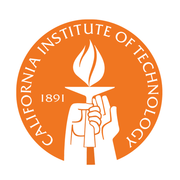 The California Institute of Technology (Caltech) is a world-renowned science and engineering research and education institution, where extraordinary faculty and students seek answers to complex questions, discover new knowledge, lead innovation, and transform our future. Caltech's mission is to expand human knowledge and benefit society through research integrated with education. We investigate the most challenging, fundamental problems in science and technology in a singularly collegial, interdisciplinary atmosphere, while educating outstanding students to become creative members of society. The Evolving Universe via Coursera 10 weeks long 10 weeks long 6th May, 2019 No reviews yet. Getting started in cryo-EM via Coursera 8 weeks long 8 weeks long 15th Apr, 2019 No reviews yet.